Good evening, folks. I wanted to drop by for a quick update on Florence and the impact on it will have on our weather later this weekend into early next week. 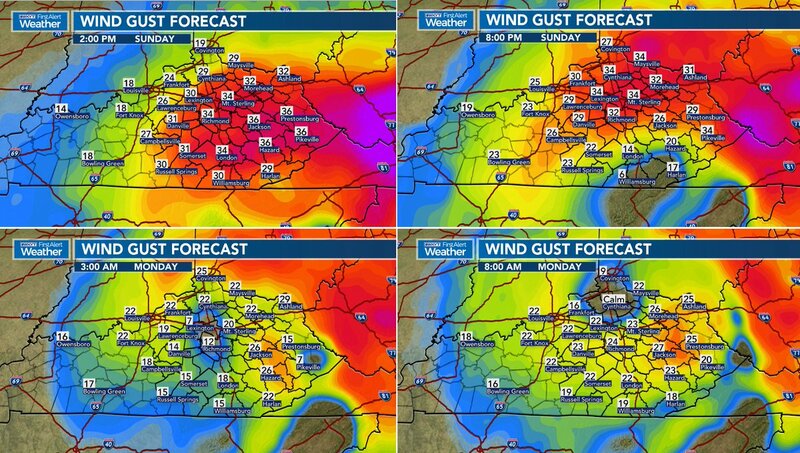 Heavy rain and gusty winds are on the way to central and eastern Kentucky. Florence could still be a Tropical Depression when it arrives in the bluegrass state. For those who have been solely relying on the European Model, you should stop. It was awful with Gordon and it’s been awful with Florence. The Euro still things Gordon went to Chicago instead of Lexington. Locally higher amounts may show up along and east of the center of circulation, and those areas will have the greatest risk for flooding issues. Ahead of the arrival of Florence, watch for some tropical downpour producing showers and storms to go up Saturday afternoon and evening. I could see 4 inches show up in Harlan. I have noticed that a SE storm direction moving NW can upslope some here. Just like an Apps runner brings decent snow in winter here, SE storm systems tend to wring out a bit of enhanced rainfall in Harlan. We shall see!